Earlier this week, we told you of escalating attacks against Uber drivers in Nairobi, which were orchestrated by taxi drivers. The attacks highlighted growing dissent among local cab drivers, with what they see as increased competition by the taxi hailing service. The attacks were reminiscent of similar attacks taking place in Paris, where taxi drivers paralyzed public transport for two days last week by blocking main transport ways over what they felt was intense competition by the service as well as failure by the government to take serious actions aimed at regulating Uber. Many took social media platforms asking the government to investigate the attacks, which were being planned through Whatsapp and other platforms as highlighted by a series of tweets by blogger Robert Alai. The government through the spokesman Ministry of Interior issued a statement stating the government is aware of the attacks and has launched investigations on the nature of the attacks, promising the perpetrators will face the full wrath of the law. The government further stated that business rivalry should be handled through legal process and not through attacks or intimidation. 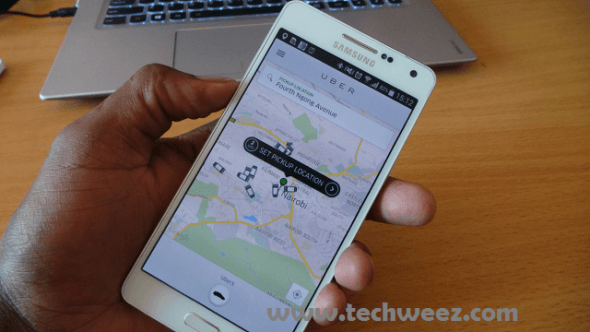 Over the weekend, a friend of Techweez took a regular cab and asked the driver why Uber drivers in Nairobi were facing attacks. According to him, increased competition from Uber, which was taking away their business was given as the main reason. On further prying as to why they have not joined Uber, the driver said Uber discriminates and does not accept old cars, meaning he has little or no option but to compete against them. The move by the government is commendable.